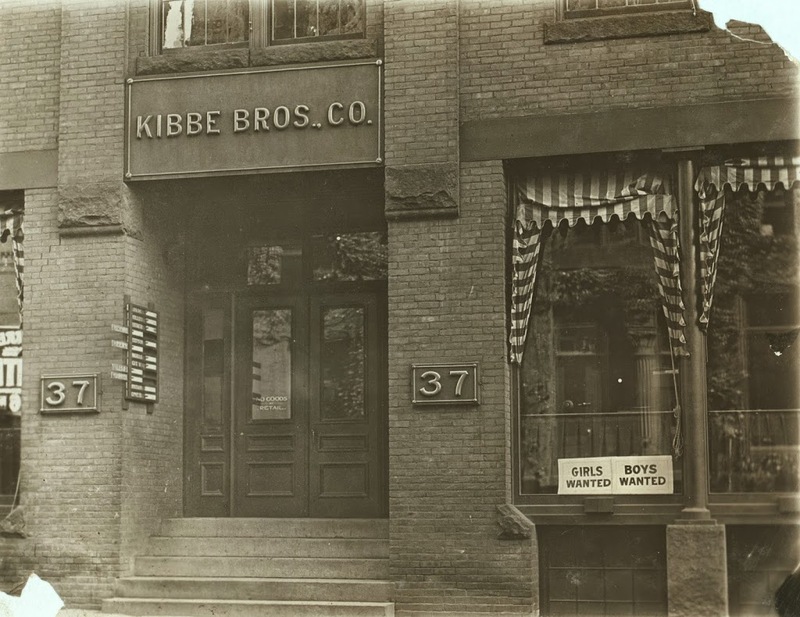 Kibbe Brothers candy factory on Harrison Avenue in Springfield, in October 1910. Image courtesy of the Library of Congress, National Child Labor Committee Collection. I have previously featured a number of photos from Lewis Wickes Hine of the National Child Labor Committee, when he traveled around the country documenting child labor conditions in the early 1900s. 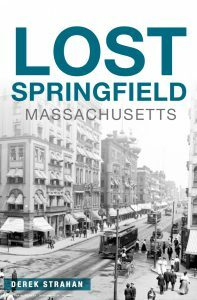 His work includes several Springfield companies, one of which was Kibbe Brothers Company, a candy company that had been in Springfield since 1843. For many years, the company operated out of a building at the corner of Main and Harrison, but in 1890 they moved about a half a block down Harrison Ave, where this 1910 photo was taken. This photo is rare among Hine’s photos in that it doesn’t feature any photos, but it does show the “Girls Wanted” and “Boys Wanted” signs in the window next to the main entrance. Based on the other photos that Hine took of the factory workers, many of them were 14 to 15 years old, which was apparently the minimum working age at the time. In some of the captions, he mentions that they made between $3.50 and $4.00 per week, which in 2014 dollars would be about $86 a week. 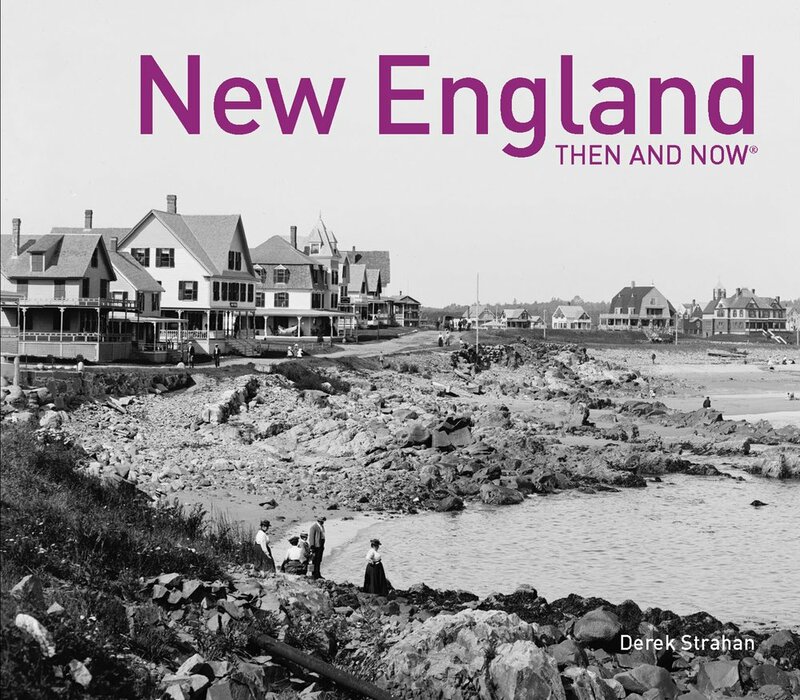 According to Springfield Present and Prospective (1905), the factory employed about 350 people and produced over 12 tons of candy each day, which was shipped as far as California. However, the company was out of business by the mid-1930s, probably a victim of the Great Depression. 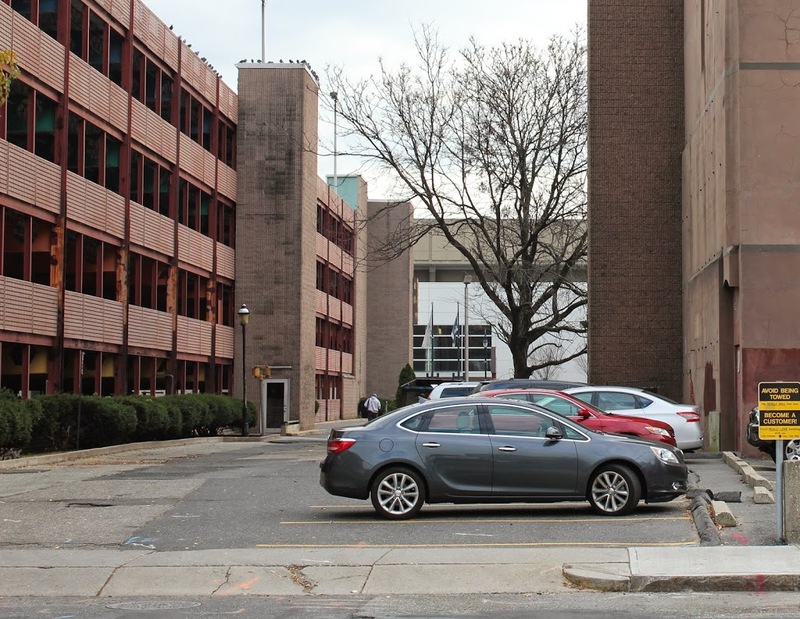 Today, part of the lot is occupied by the headquarters of Hampden Bank, and the rest of it is a parking lot and parking garage.